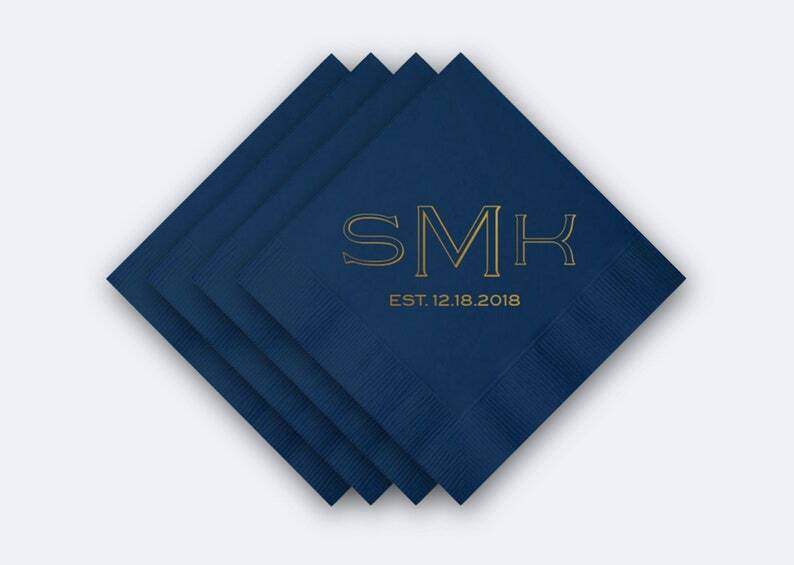 ❤️ DESIGN: The first photo in listing shows a Navy 3-ply cocktail napkin. Foil selection is Shiny Gold foil. Fonts used are Sappho for the initials and Blair for the date underneath.